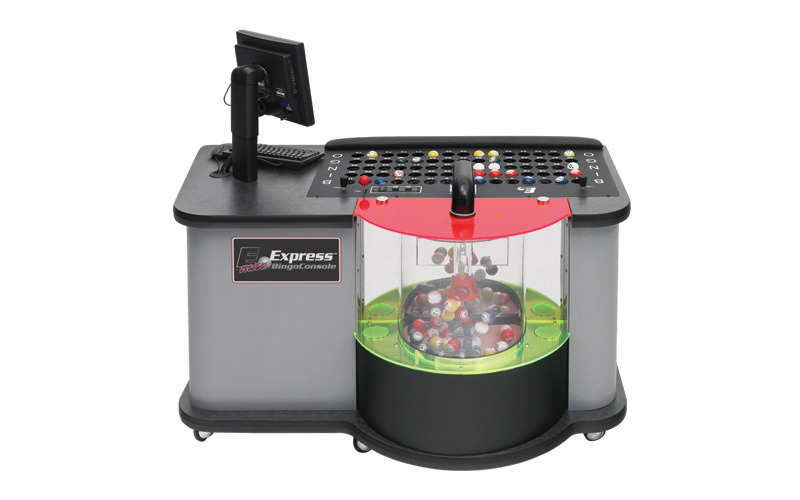 Quality, reliable electronic bingo equipment! 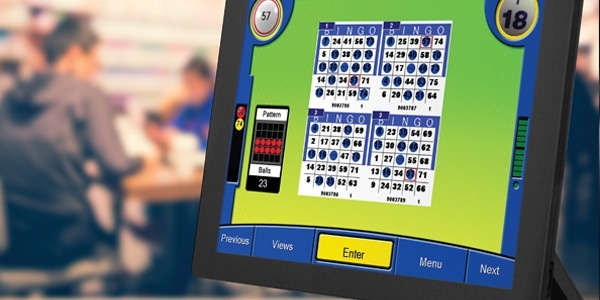 Our bingo consoles, handheld devices, flashboards, and ticket dispensers are equipped with the latest state-of-the-art technology. 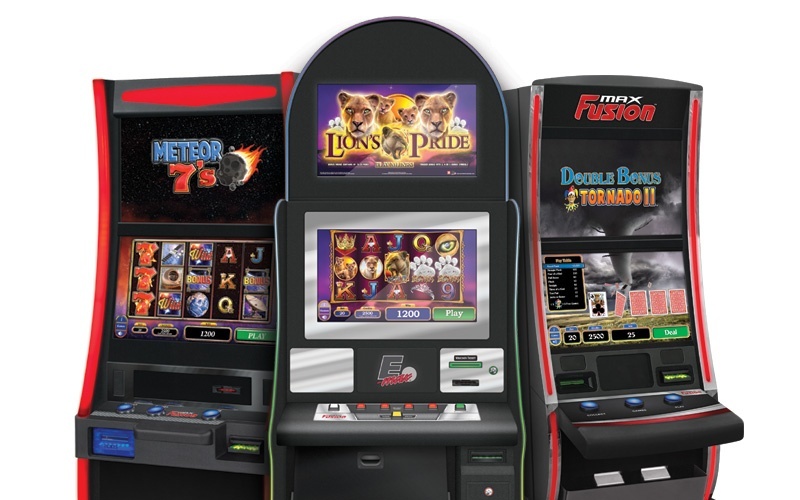 Our ticket dispensers and electronic gaming systems provide convenient and enjoyable experiences for players while offering new revenue opportunities to charitable organizations. 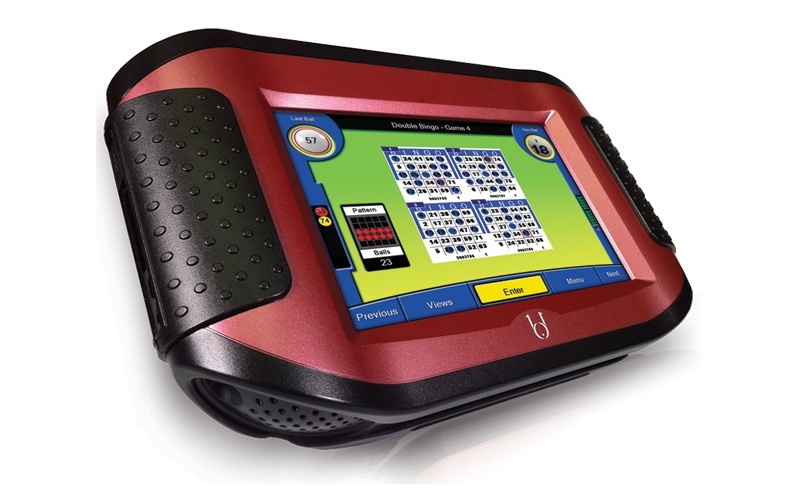 Arrow's E-max®, Capitol®, Blue Dog®, and MaxFusion® lines use precise manufacturing and assembly techniques to offer the highest quality and most reliable electronic bingo and pull tab equipment in the industry. 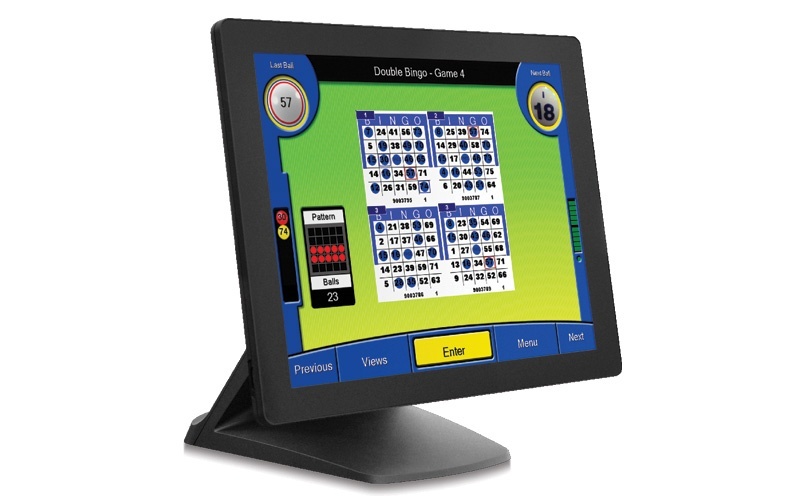 Our bingo consoles, handheld devices, flashboards, and ticket dispensers are equipped with the latest state-of-the-art technology. Modern design and an exceptional user experience set Arrow's bingo equipment and electronics apart from the competition. 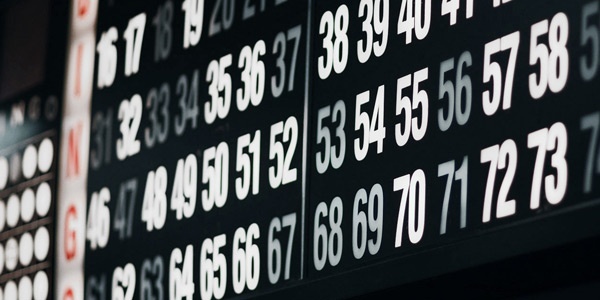 E-max is a fully integrated, complete end-to-end, highly secure modular bingo system designed to give hall operators maximum flexibility and deliver an exceptional gaming experience for players. Manage every aspect of your game, from basic cashier functions to inventory management and reporting. 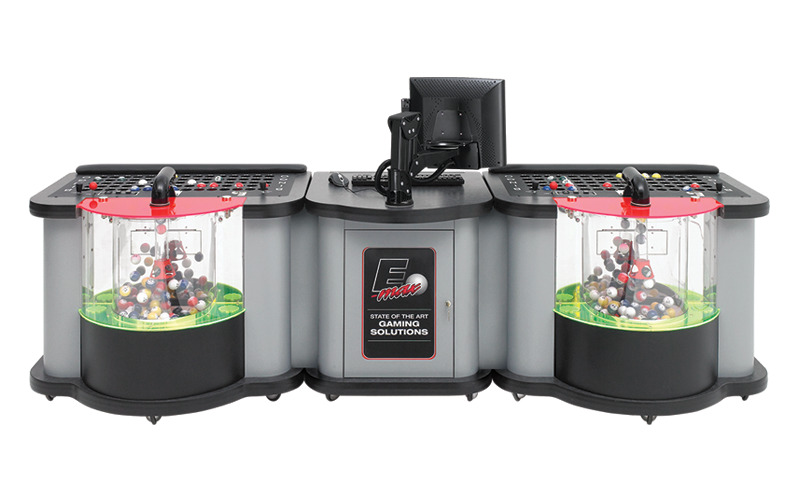 Take your game to the max with the highly sophisticated and technologically advanced E-max consoles. Bring the classic bingo experience to life with colorful and exciting graphics and animations. Watch your profits soar as players engage in an exciting, action-packed bingo experience. 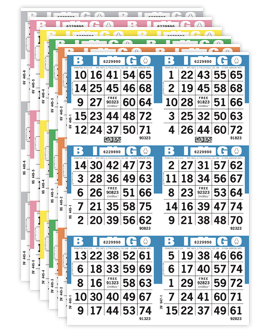 Capitol bingo equipment is designed, engineered, and assembled utilizing the latest technology and manufacturing processes to provide you with several years of reliable, trouble-free operation. 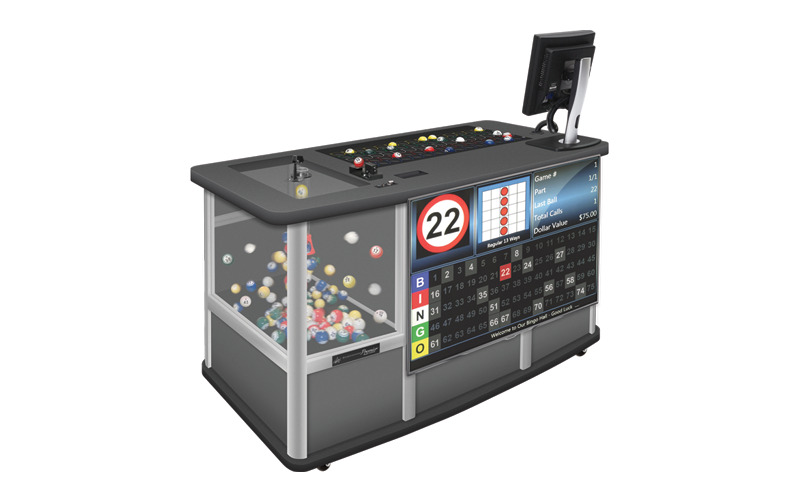 From bingo consoles to flashboards, all Capitol equipment is designed and manufactured to our exact specifications using state-of-the-art electronics. Capitol's lineup of bingo consoles feature modern, ergonomic cabinets designed for optimal comfort and efficiency, while our flashboards provide that "wow" factor! Our library of detailed service & support resources are designed to assist you with installations and guide you through setup, operation, and troubleshooting. Arrow's experienced technical assistance analysts are available seven days a week (from 8am - midnight EST) by calling our toll-free line at 800.277.6214. Capitol's technologically advanced bingo consoles combine the benefits of form and function to offer the ultimate bingo calling experience. User-friendly operation, reliability, and modern a design with an LED lighting option – makes Access Flashboards outshine the competition. 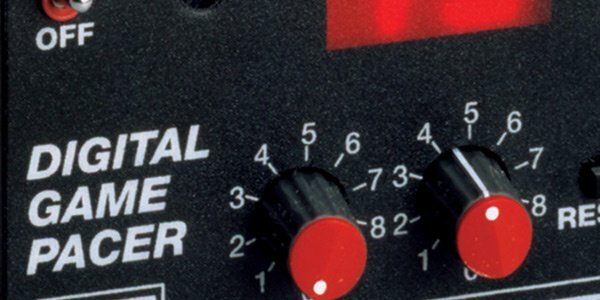 Whether it's a component for legacy equipment or a cover for your new console, you can count on Capitol to have what you need! 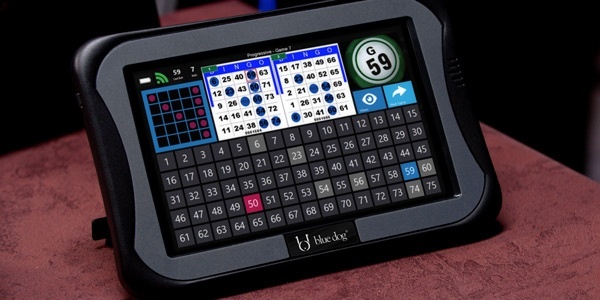 Blue Dog is a flexible, customizable, and fully scalable electronic bingo system designed to easily integrate with a wide variety of gaming venues – from a new bingo hall to an existing operation. If your hall is still playing strictly paper games, it's time to step into the 21st century with an electronic bingo experience. 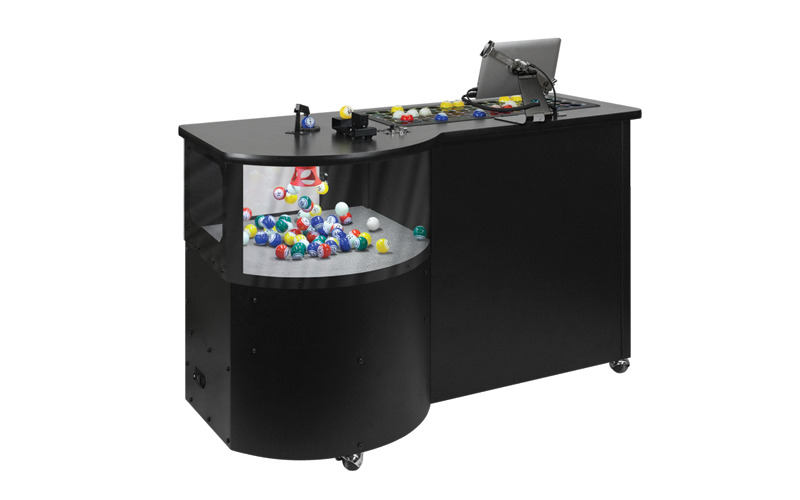 Blue Dog's compact, space-saving tabletop unit features a large and easy-to-use, player-friendly touchscreen. 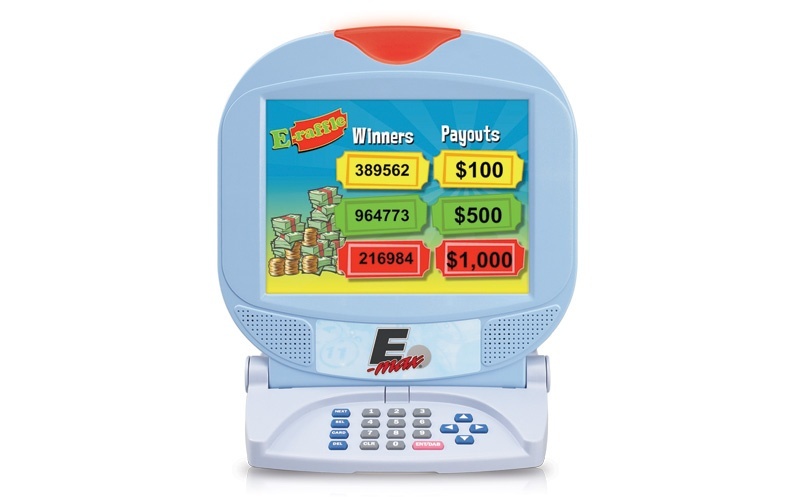 The E-max Elite is Arrow's top of the line bingo console! This user-friendly, technologically advanced PC-based system offers multimedia and dual video capabilities. 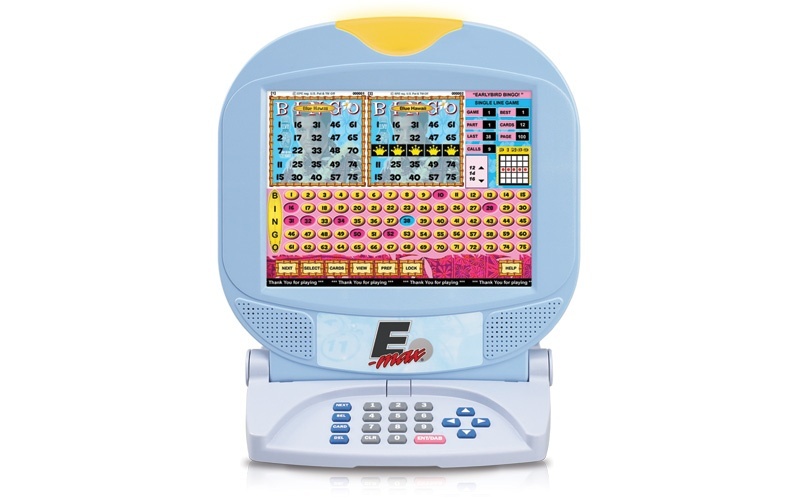 The E-max Express is Arrow's most popular bingo console. This reliable console features an integrated design, intuitive operation, and the latest technology. 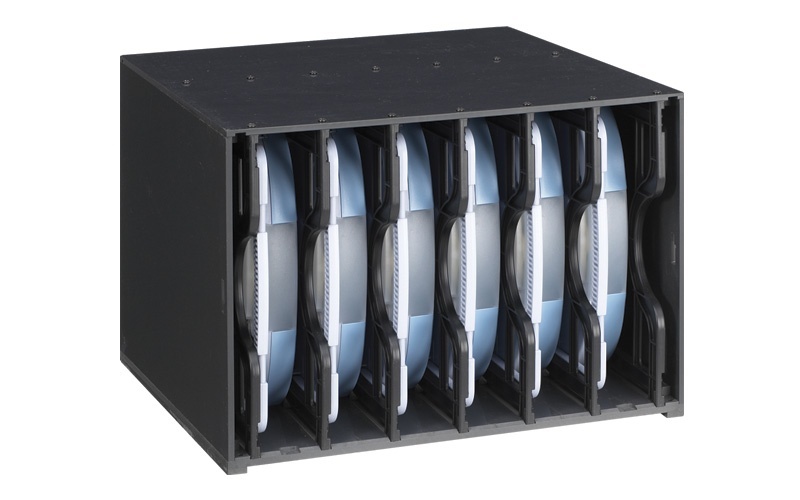 Arrow's state-of-the-art Statesman Premier bingo console offers versatility and simplicity beyond compare, with the proven reliability you expect from Capitol products. 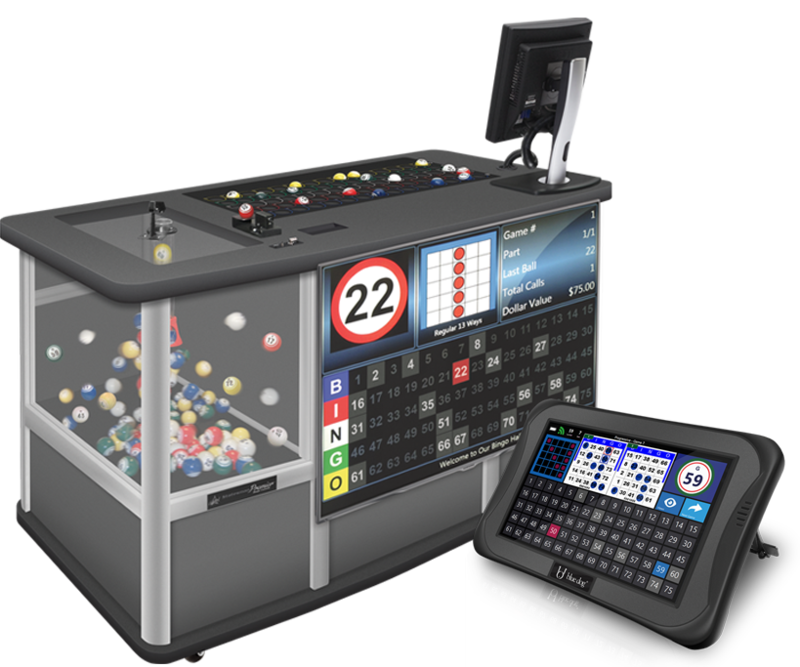 The Envoy is a compact, affordable, and easy to use bingo console designed for smaller venues such as rec centers and retirement homes. It's small on size, but big on features! 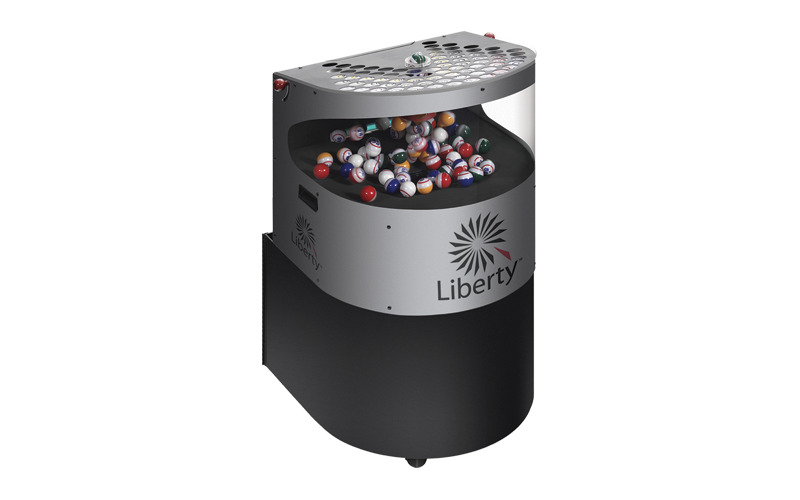 The Liberty is the number one choice for many small game operators because of its size and portability! This small console is great for informal settings and recreational facilities. 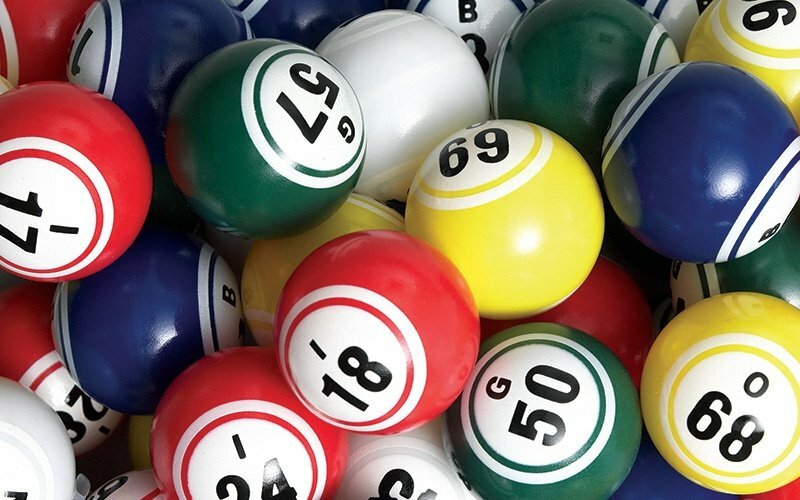 From bingo converters, flashboard adapters, game pacers, equipment covers, to industry leading anti-static bingo balls you can find exactly what you need, when you need it! 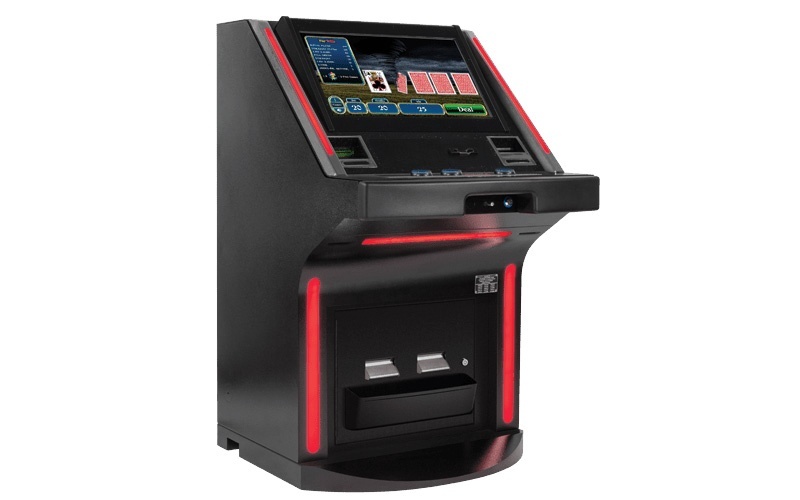 The Echo is a comprehensive, fully integrated point-of-sale and bingo hall management station designed to work exclusively with the E-max gaming system. 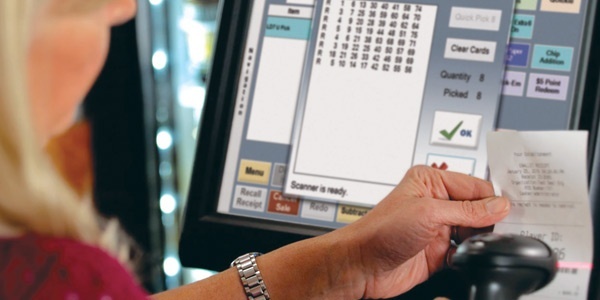 The Prestige is a comprehensive point-of-sale and bingo hall management system designed to seamlessly integrate with a wide variety of bingo systems. 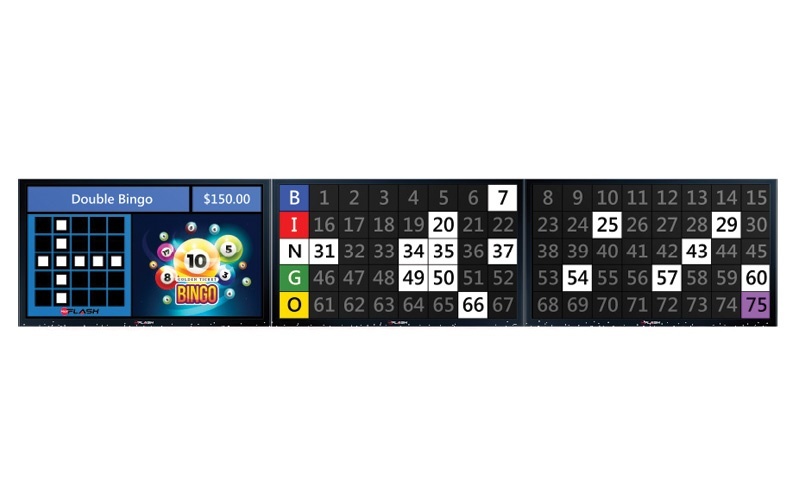 The versatile and feature-rich 10.4" touchscreen Max10 electronic bingo gaming unit is available with an optional keypad, giving players maximum flexibility for portable or fixed-base operation. 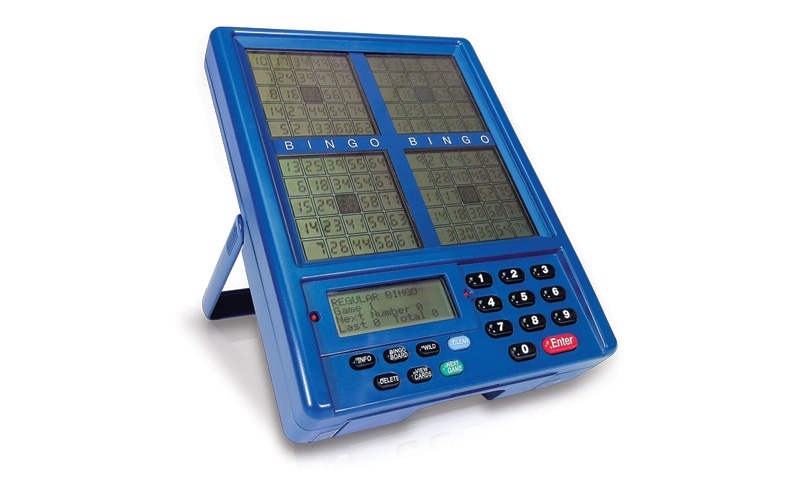 The portable and ultra-durable LD7 handheld bingo unit features a 7" touchscreen display and an optional external battery expansion to provide players with over 12 hours of non-stop, thrilling bingo action! The Classic Blue is our black and white handheld unit.  It comes with the security of our OneKey ™ System. OneKey is a game-play security and management system integrated into blue dog's line of products. 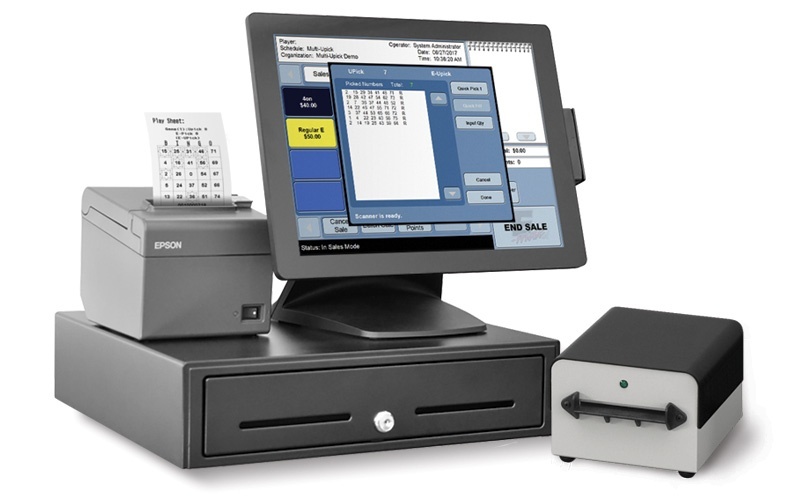 The Top Dog II features a touchscreen display and operates over a secure network. 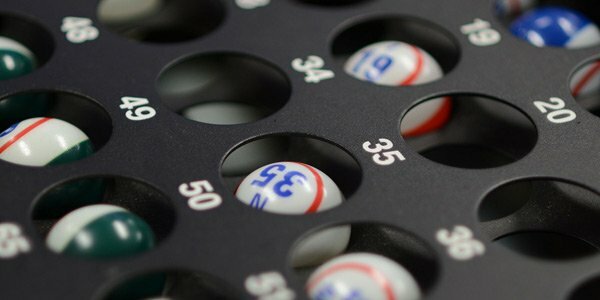 Its compact, space-saving tabletop design and user-friendly features give players a comfortable and fun bingo experience. The Encore Charging Station, for the E-max Max10 gamin handheld, is designed to provide maximum flexibility to meet the needs of any sized venue, small or large. Increase your profits and player excitement during your bingo sessions with electronic raffle games designed exclusively for the Max10 gaming unit! 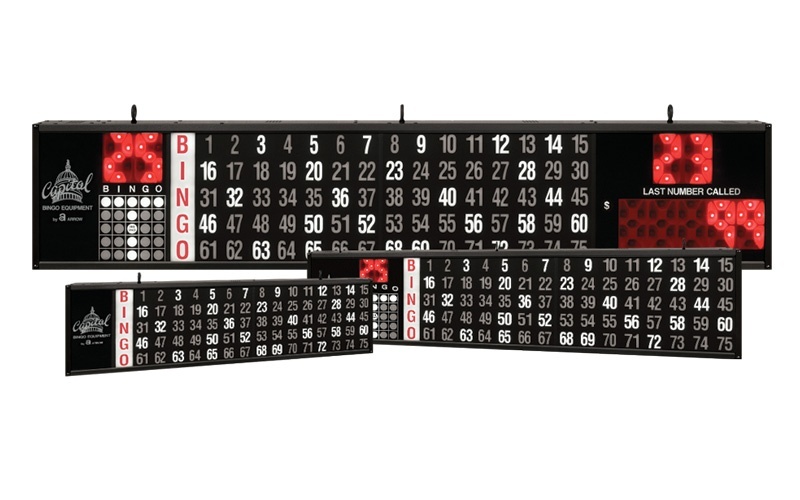 Enhance the thrill of your bingo game with our contemporary flashboards, now available with a brighter, whiter LED lighting option! Our large variety of high-tech flashboards will meet the needs of any game! 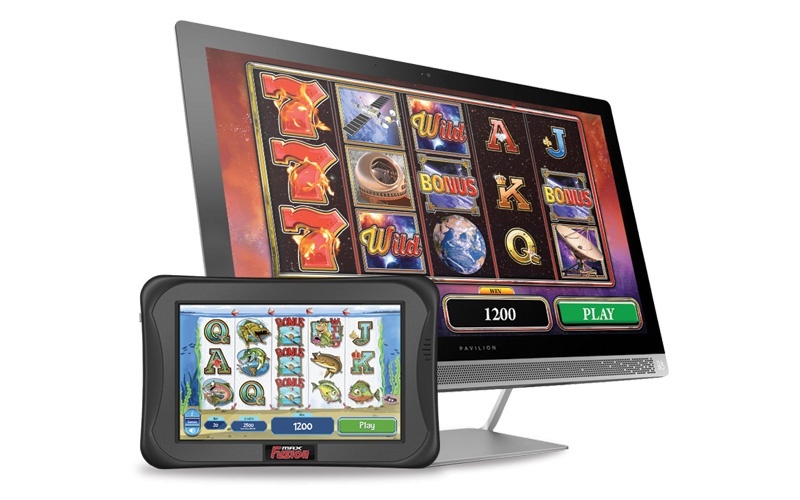 MaxFlash is a versatile video flashboard system that employs cutting-edge hardware and software to bring the classic game of bingo to life with a fun, modern, exciting, and colorful digital experience! 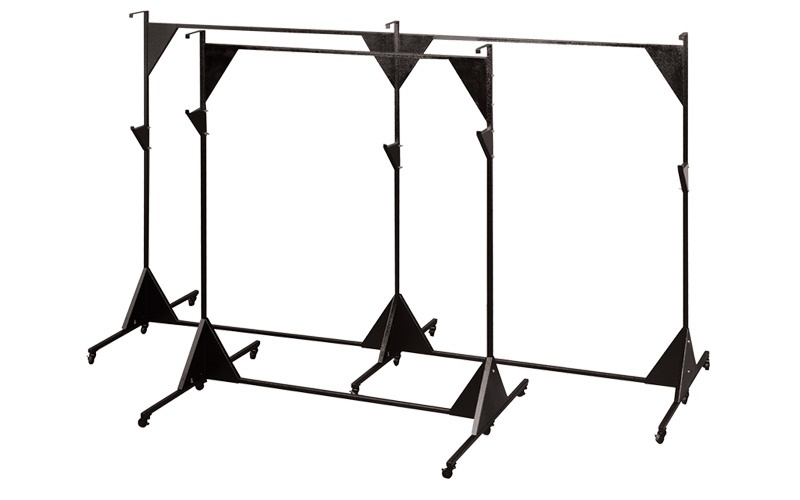 Raise your flashboards an additional 77½" with Arrow's upright flashboard stands, constructed of heavy-gauge steel to ensure stability for large flashboards. Locking ball bearing style wheels make your flashboard easy to move, lock in place, and store. Give your players that wow factor in your hall! Don't wait until someone asks you, "why doesn't your flashboard light up like all of the others?" Our LED lighting option gives flashboards a newer and brighter appearance, making them easier to read.  MaxFusion is a state-of-the-art electronic pull tab system designed to give players an experience beyond the game. 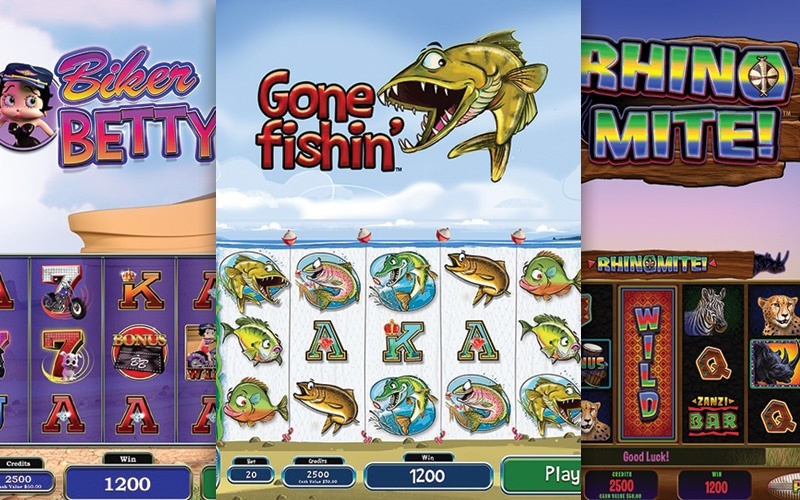 It combines eye-catching graphics, dynamic animation, and immersive audio with the next-generation of gameplay mechanics to produce a library of unique electronic pull tab games. To support the unique needs of multiple charitable gaming markets with varying regulations, MaxFusion games are available on a range of fully-compliant cabinets, tablets, and desktops. The MaxFusion On-Demand prints and dispenses pull tab tickets at the time of purchase. Each cabinet holds up to 15,000 tickets. All the same great MaxFusion games on a fully portable tablet or all-in-one desktop PC, giving players a dynamic experience! Play electronic pull tab games on any of our vegas-style cabinets without printing or dispensing any physical tickets! Create maximum impact with our stunning MaxFusion cabinets. They will demand attention with their commanding presence on the floor. 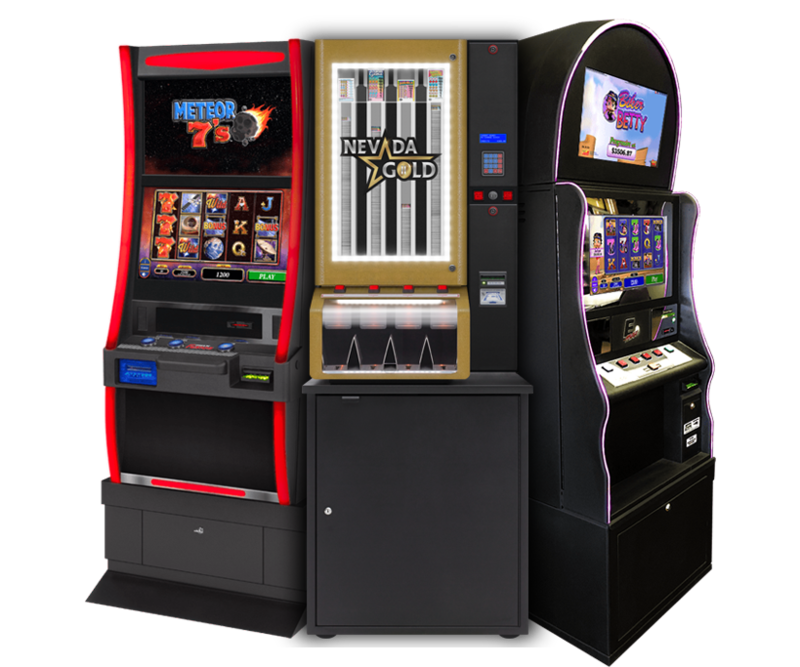 MaxFusion combines eye-catching graphics and animations, and immersive audio to produce a library of incredible electronic pull tab games. 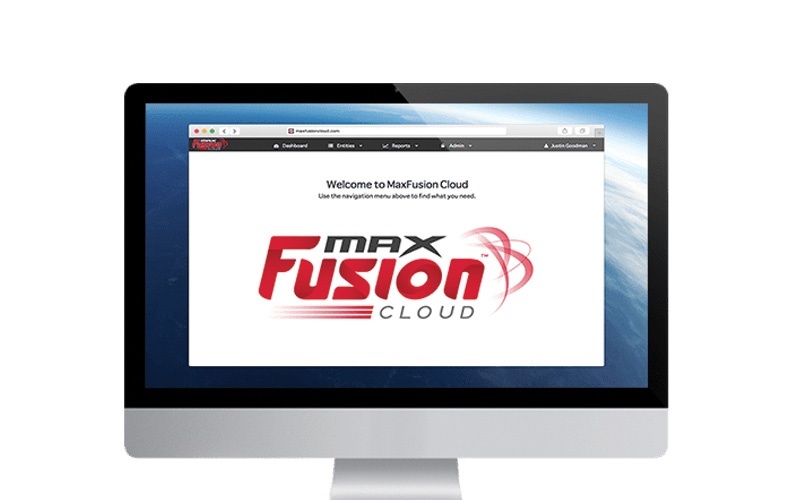 MaxFusion provides enhancements for your electronic pull tab experience with MaxFusion Cloud, MaxFusion Kiosk, and gaming booths. 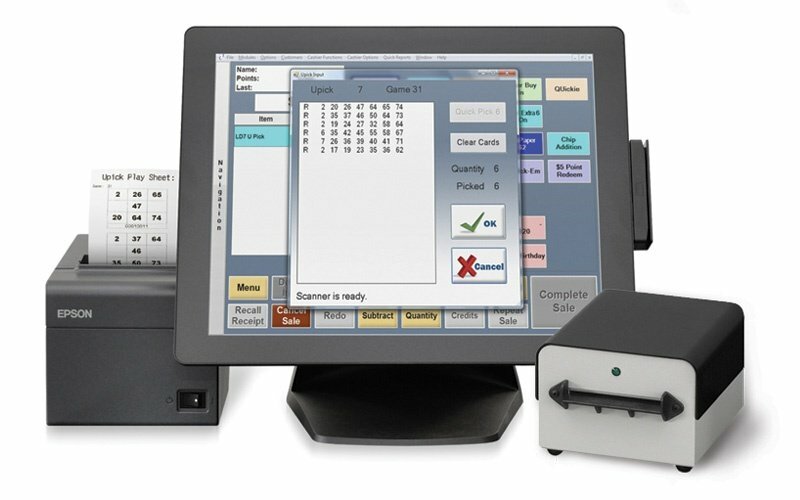 The industry's fastest and most reliable ticket dispensing and counting equipment! 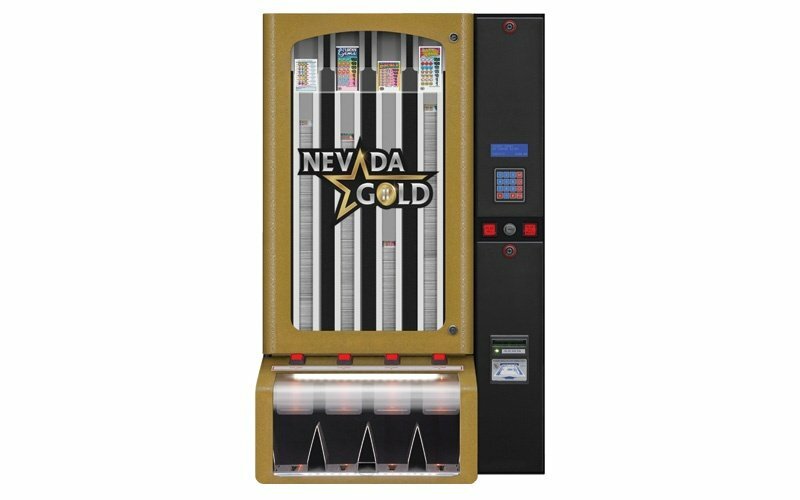 The ultra-fast and reliable Nevada Gold II ticket dispenser is the ultimate pull tab ticket selling tool! 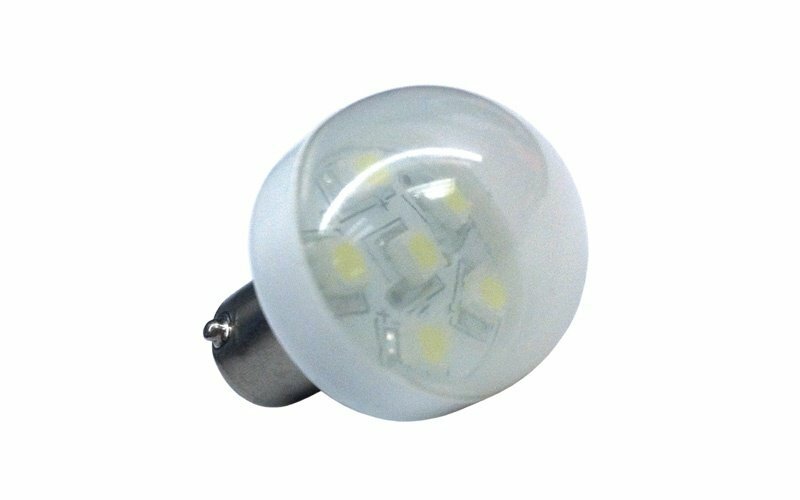 It delivers unmatched performance, security, and accuracy! Hand counting your pull tabs is a thing of the past! 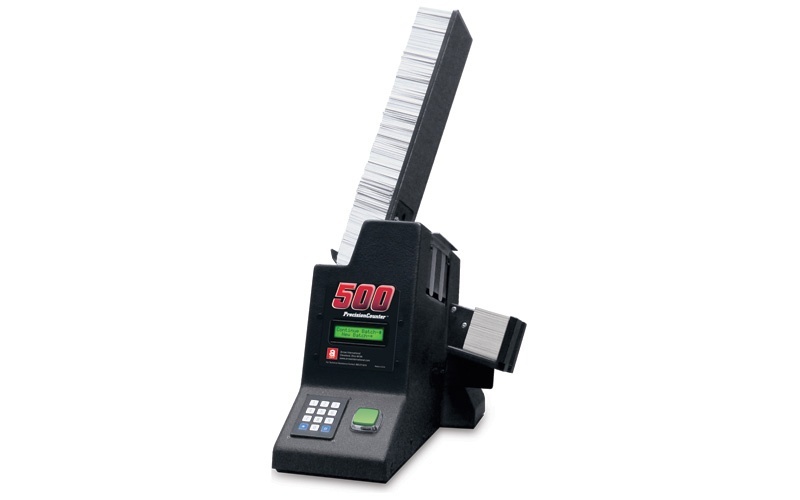 The PrecisionCounter 500 can hold 500+ tickets while batching out over 14 tickets per second. The Technical Assistance Center is open 7 days a week, from 8am - midnight (EST). If you are looking for operator manuals, quick start guides, or product brochures, please click the button below to visit our Support Library.